As the year winds down, it’s a good time to finish those projects that I stepped away from for one reason or another. 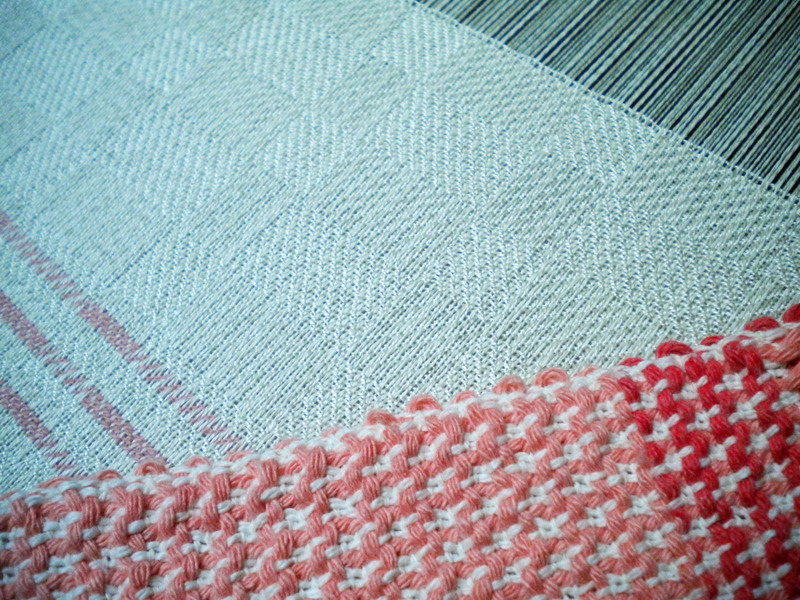 Earlier in the fall, I started to explore how to weave overshot placemats more efficiently. 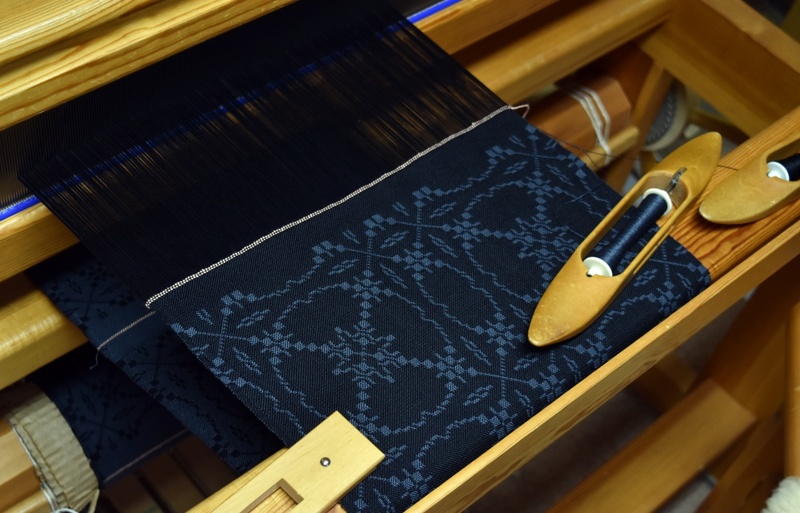 Overshot is normally woven with two shuttles, one for the ground weft which gives the fabric stability, and the other with a heavier weft which makes the pattern. 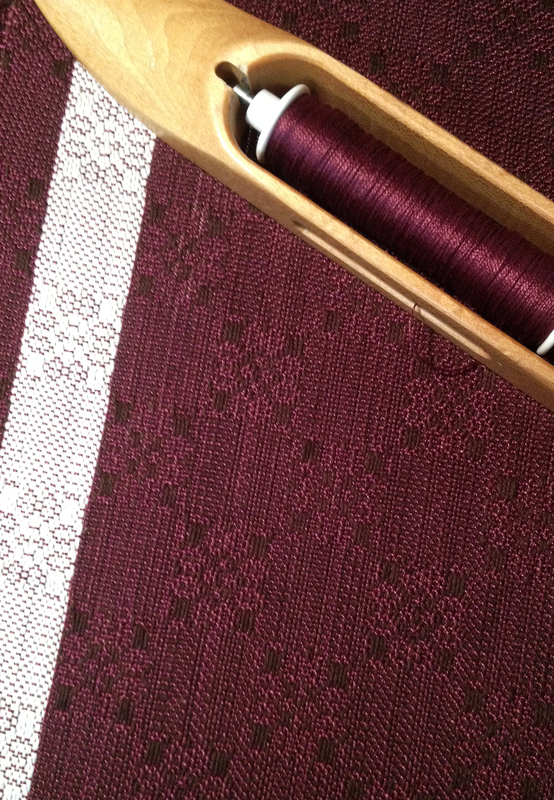 But weaving with two shuttles takes a bit more time. I wanted something that would weave quickly. 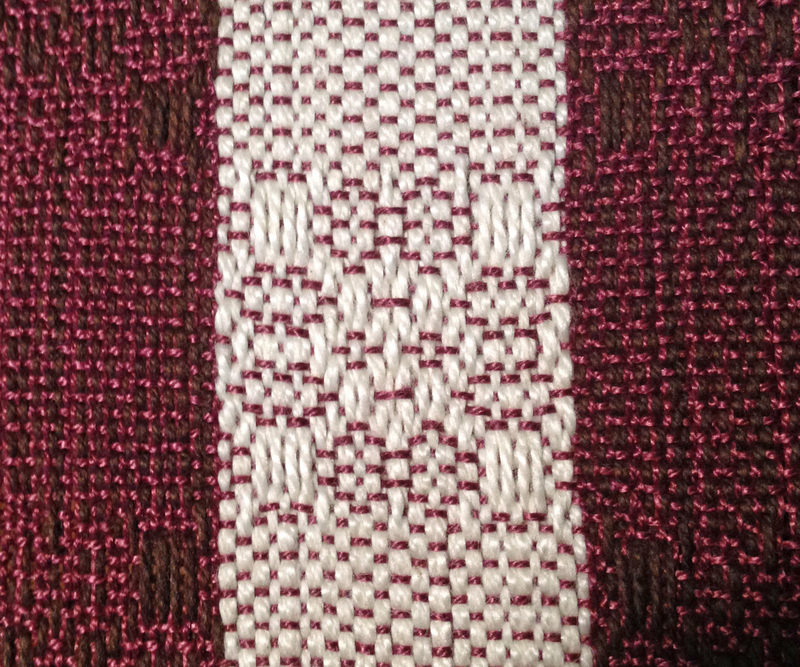 I remembered trying a nifty little trick some time ago—turning the draft, making the warp act like the weft and vice versa. Then I can weave with just one shuttle. So if I have an 8-shaft overshot which weaves with 10 treadles, turning it makes it a 10-shaft overshot woven with 8 treadles. 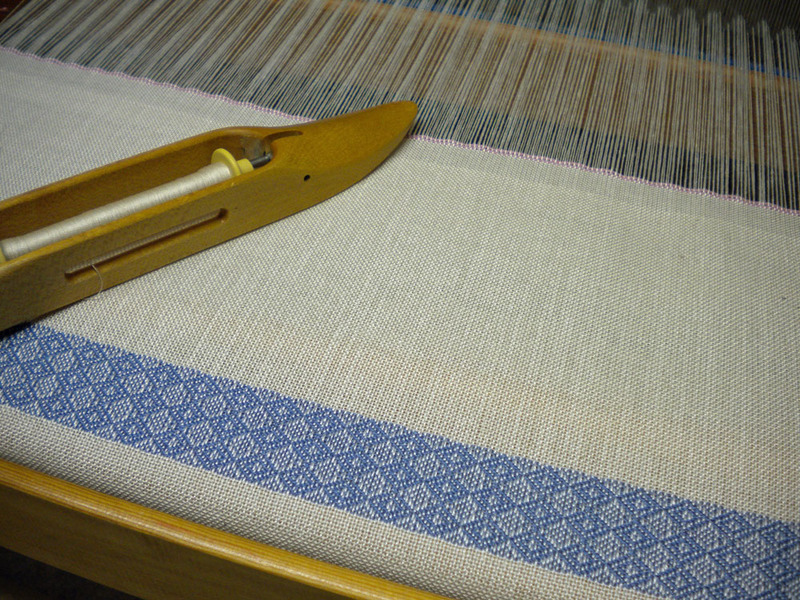 The original ground weft is threaded into the warp and every other warp thread is weaving the tabby either on shaft 1 or shaft 2. 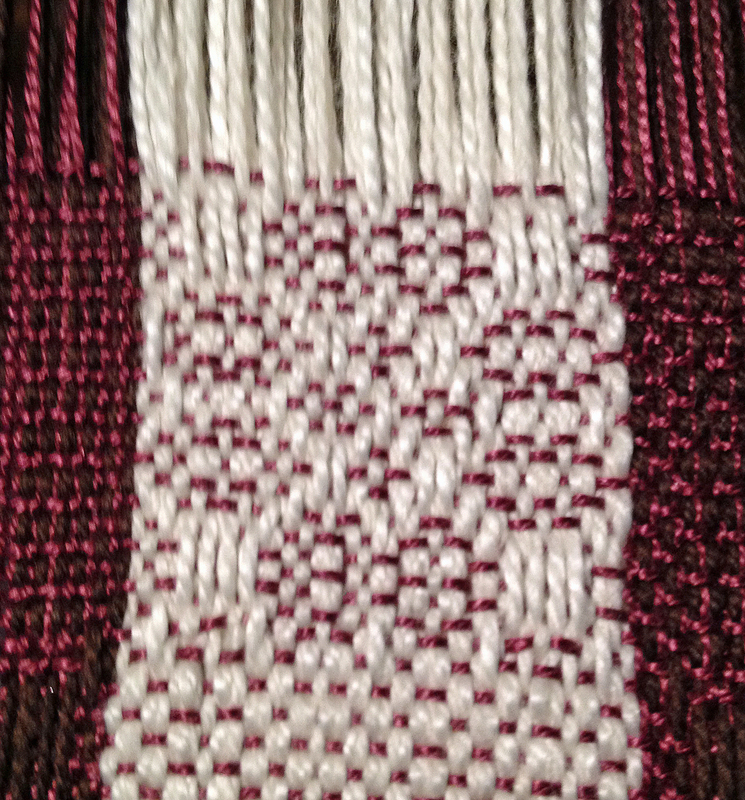 And now the weft will act like the original warp—in other words, I can weave it with just one shuttle! There are a few things to keep in mind. For one thing, look at the draft. 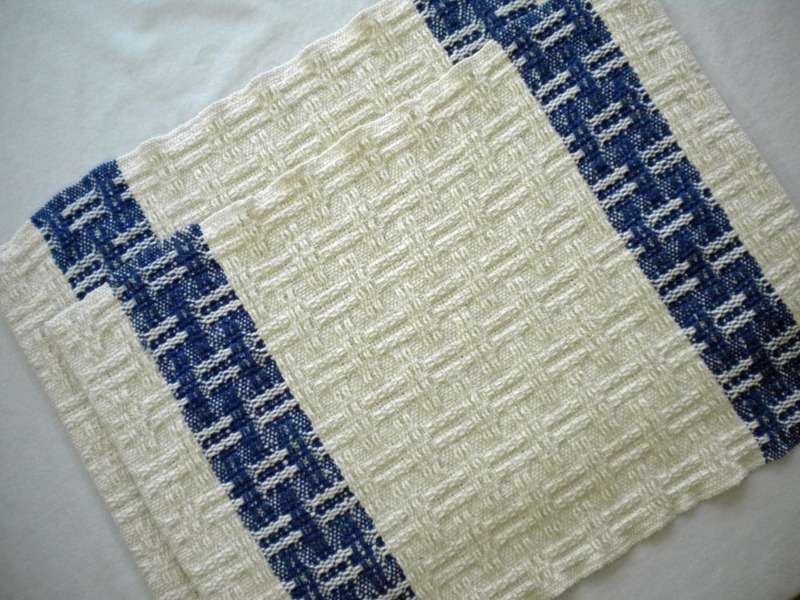 You can’t weave a 10-shaft pattern on an 8-shaft loom! My original plan was to use my 8-shaft Baby Wolf. 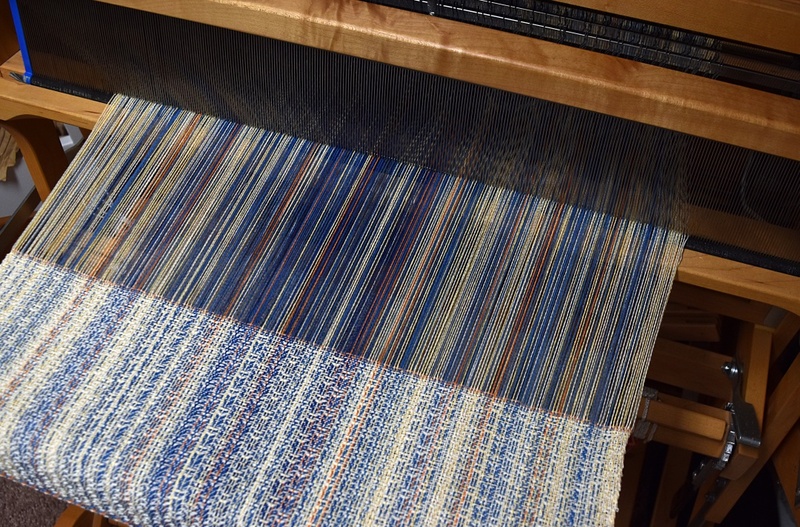 Only when I was ready to start winding the warp did I realize that it just wasn’t going to work that way! I do suffer from tunnel vision sometimes. Luckily, I have other looms. 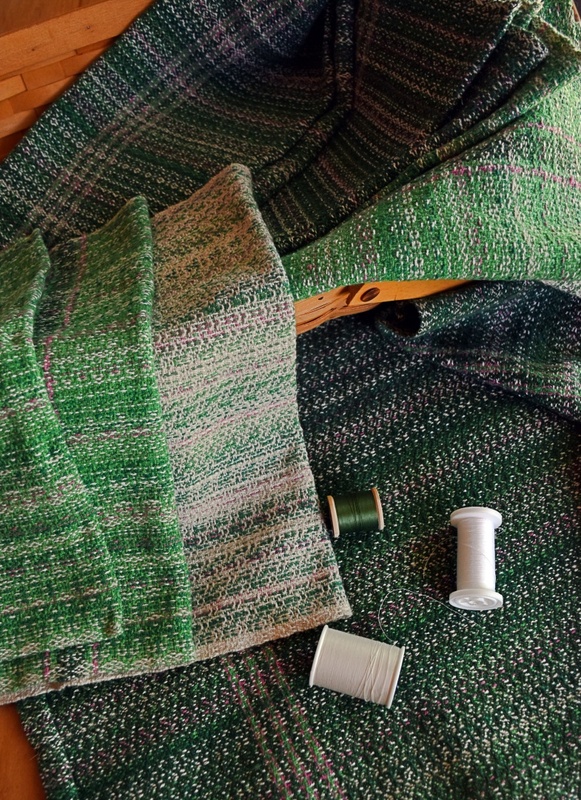 Also, the warp will be very dense with both pattern and ground threads sharing dents in the reed, but because the pattern threads are floating either on the face or on the back, the warp should be sett as a balanced plain weave for the size of the ground warp. 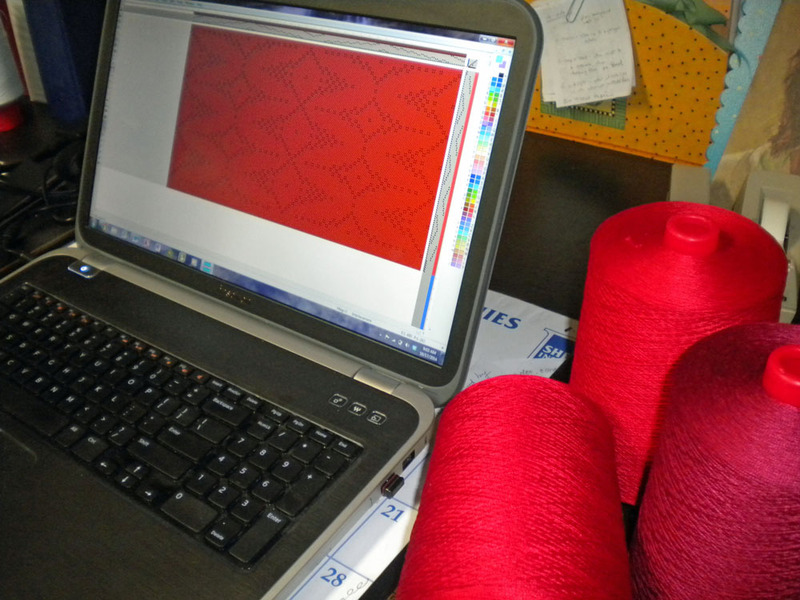 The pattern thread has to be sturdy and smooth to stand up to warp tension as well. There at the top and bottom, the figures just don’t match as they should. 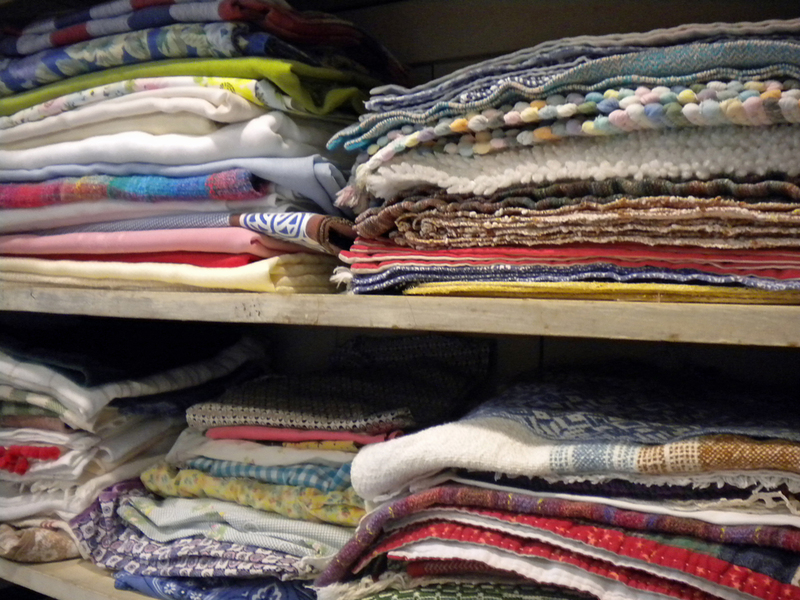 I checked the “usual suspects”— tie-up, treadling, threading. I enlarged the draft on the computer and that’s when I noticed that at the reversing point in the diamond, the weaving program had also reversed the tabby. 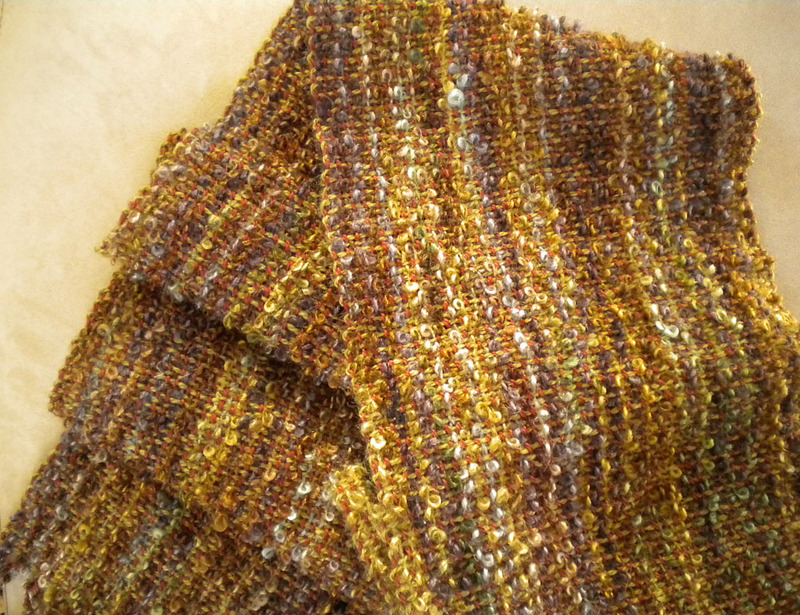 On the loom, I had faithfully threaded all the ground threads on shafts 1 and 2, alternating all the way across. 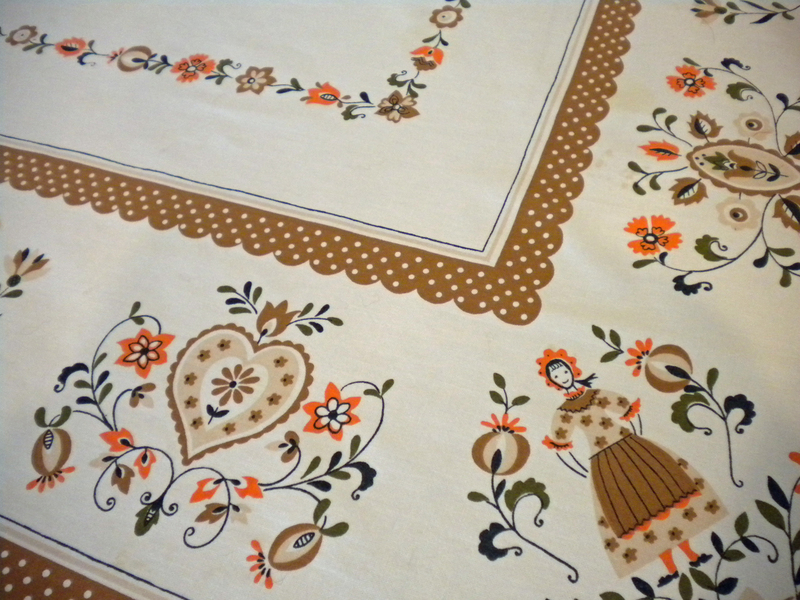 I should have reversed those ground threads as well as the pattern threads. After rethreading, the figures are now symmetrical. After some rethreading, it is now symmetrical. 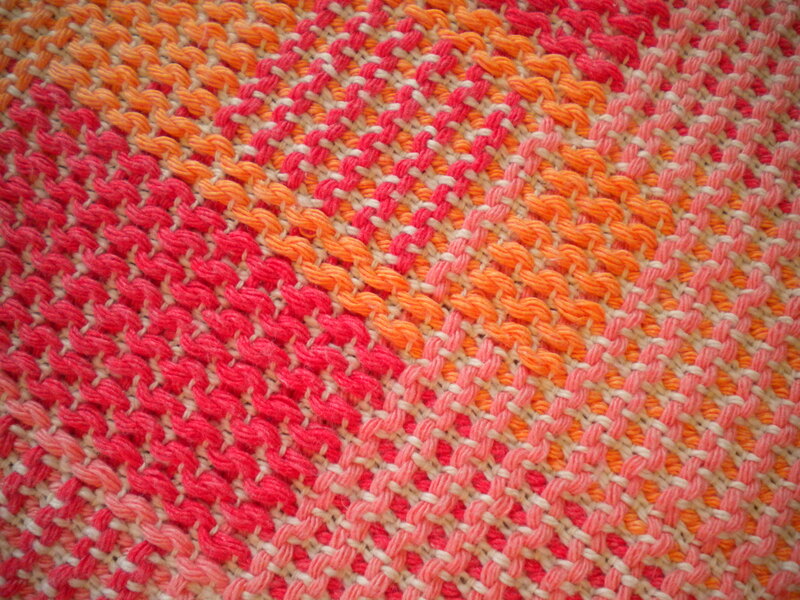 There are some other irregularities, but I will work on those with the next warp. This is a retraining project after all. By the time I make it through the various color ways I had in mind, I ought to have the process down pat. 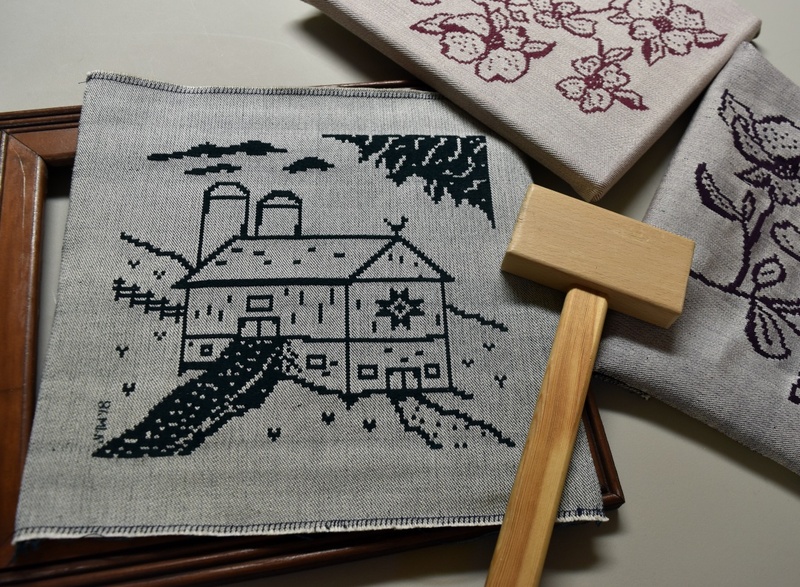 What projects are you finishing before year’s end?